It was a crisp winter’s afternoon when I ventured out onto the harbour for a chat with Ben from the Harbour Master’s Office. 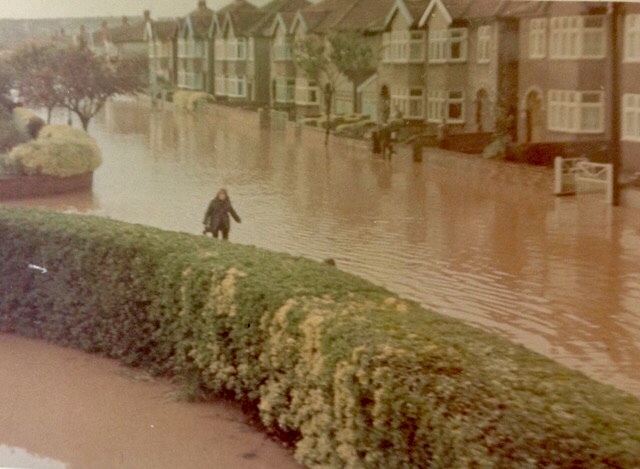 It seems worlds away from the recent heatwave and, as we approached the 50th anniversary of the 1968 Bristol Flood, I found myself thinking a lot about that day. I was fortunate enough to join up with Ben on a day when he was working alongside Surfer’s Against Sewage in an effort to clean up Bristol’s waterways. We started our boat trip around the harbour with a pit stop at their event. The aim of the event was to raise awareness of the necessity of keeping Bristol Harbour clear of litter. The Harbour Master’s Office assisted Surfers Against Sewage by taking volunteers out on the ‘Water Witch’, the Harbour Master’s dedicated cleaning vessel. Cleaning the harbour is a daily task for the Harbour Master and his team but, as Ben told me, they also assist with events such as these because community engagement helps raise awareness of the environmental dangers faced by the harbour. 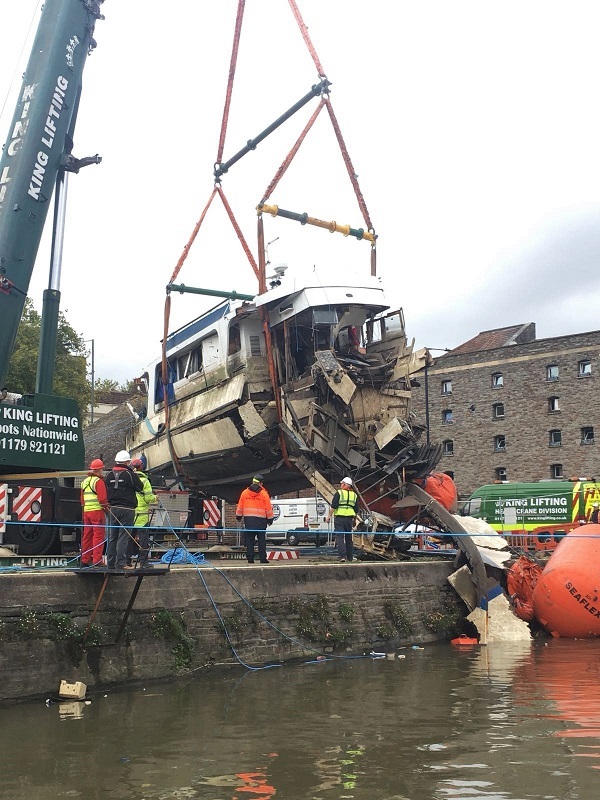 Litter and other pollutants pose a serious threat to the fragile ecosystem of Bristol’s waterways. Community engagement helps to raise the Harbour Master’s profile and reveals what a challenging task it is to clean the harbour and, hopefully, encourages the public to do the same. But today there was a different kind of problem: not enough litter! The strong winds blowing through the harbour had buffeted the litter into the shelter provided by the underside of pontoons and boats. Ben told me this was the only day they would ever complain about a lack of rubbish in the water! The Harbour Master clearing a boat out of the water after a gas explosion on board (Photo courtesy of Mike Proud). Ben and I were barely halfway through our tour of the harbour and I found myself shocked at the amount of work the Harbour Master and his team do that goes unseen. Telling Ben as much, I asked him what he considered to be an important part of their duties. Ben explained that it may not be well known how much time is spent simply trying to keep the harbour clean, safe and clear for those who use it. Their task is often hampered by the river itself as a result of the constant influx of silt into the harbour. Build-up of silt within the harbour reduces the water depth to the point that marine traffic runs the risk of ‘running out of water’ and grounding. The system of sluices prevents this from occurring. Ben explains to me that the sluices work by creating an undercurrent that drags the built up silt out of the harbour. He adds that, when in use, the effect of the sluices at Underfall Yard can be seen almost immediately. The tug that is created by the flow of water being pulled through the sluices causes the silt and debris littering the riverbed to become disturbed. This can be seen from above as the surface of the water bubbling. It may also come as a surprise to some how much time is dedicated to preventing the harbour from flooding. The last major floods in Bristol were in 1968 when the River Avon burst its banks and Ben recalls a story his mother had told him: she was pregnant with Ben during the floods and his father had had to row himself on a small dingy through Bedminster to reach their house. Floods as severe have not occurred in Bristol since, which is largely due to flood prevention measures. Stop gates provide flood defence for the harbour, on average, around twenty five times a month when the highest high tides, known as Spring Tides, are likely to overtop the level of the harbour. As a tidal river, the River Avon is always changing and the risk of flooding is ever present which is where the system of lock gates, sluices and weirs come into play. The sluices assist in the removal of silt and regulate the water levels within the harbour. The team can pre-emptively release water from the harbour in anticipation of an exceptionally high tide or a storm that could affect the level of the water. As we travel further through the harbour I note the amount of friendly faces waving and saying hello to Ben as we pass. Being on the water every day, Ben says that it is impossible to not become friendly with the users of the harbour and adds that they often come to the Harbour Master and his team with a whole host of queries and issues. The team at the Harbour Master’s Office are always more than happy to help in any way they can and Ben jokes that this unofficial role is akin to that of a ‘vicar’ and his parish. Coming to the end of our trip along the water I find myself fascinated with the stories Ben has shared about the harbour and the Harbour Master’s duties. I may have only had a small glimpse into a day in the life of the Harbour Master and his team but it is obvious that much goes on behind the scenes to keep the harbour running and that their role cannot be underestimated or undervalued. Charlotte Proud is a history graduate with a keen interest in any and all things related to the past. After two years spent travelling around Australia she returned to Bristol with hopes of being able to get involved with her hometown’s local history. Having discovered Underfall Yard and been given the wonderful opportunity to volunteer here, she now researches and writes articles on the stories of those involved with the harbour throughout the years.